These energy-efficient bulbs might be prettier than the fixtures you’ll use them in. The typical LED light bulb is hardly a piece of art. Loaded up with electronics, they usually feature a big, industrial-looking, plastic base and are covered in frosted glass to mask their homely inner workings. That’s all changing thanks to GE Lighting, which has released more than 30 new LED bulbs in a variety of shapes, sizes, and socket types, all with fully exposed, faux filaments. No plastic base. No frosted glass. GE Lighting covers all the bases (no pun intended) with its new GE Vintage lineup of old-style LED light bulbs. 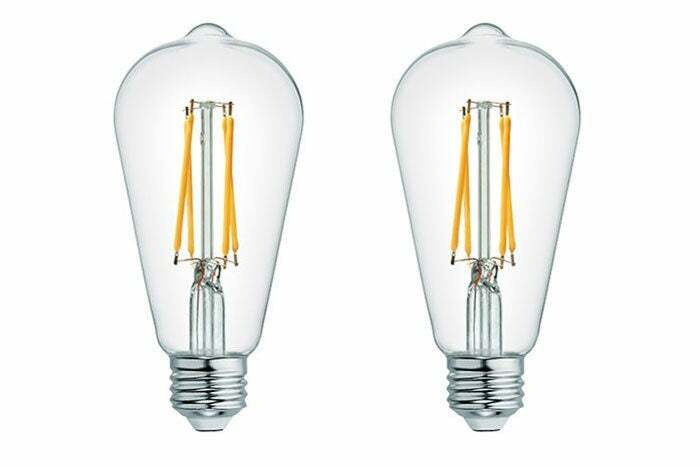 These bulbs don’t just adopt historical filament designs, the shapes of the bulbs take a nod from the past, too. Chief among these options is the antique “Edison” shape, that familiar, oblong, tapered cylinder. 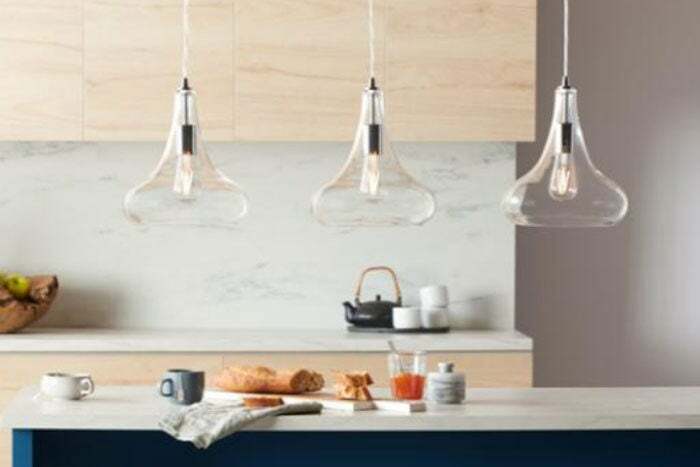 More standard bulb shapes, including tubular bulbs and candelabra bulbs (in versions with medium and candelabra bases for smaller fixtures), are also available. Swapping out a compact fluorescent or a standard LED with one of GE’s Vintage bulbs makes a world of difference in any fixture where the bulb is visible. Swapping these bulbs for standard LEDs in a pair of outdoor sconces was true night and day in my testing, completely transforming the appearance of my entryway. With these bulbs available, I’ll never go back to other designs. Of course, it’s important to note that these are not “smart” bulbs in any way, so you can’t change their color or tune their temperature; and if you want to use scheduling features, you’ll need to do that by installing a smart switch instead. On the other hand, there’s a huge variety of bulbs available. I tested a 60-watt equivalent (with a 6-watt power draw) with amber glass, tuned to a very warm 2,200K. The bulbs aren’t the brightest—varying from 250- to 560 lumens each, depending on the style and watt equivalence—but since they aren’t really designed for use as primary light sources, that’s probably not a big problem for most. 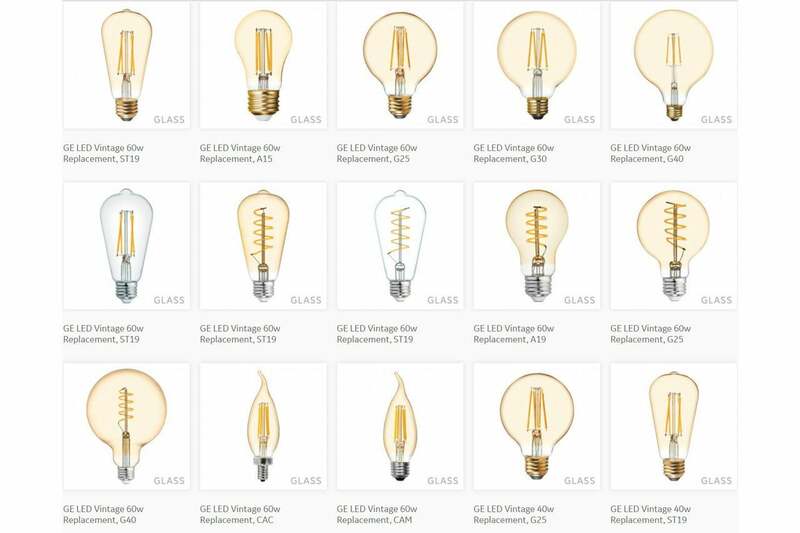 GE's new Vintage bulbs are designed to be seen. A bigger issue might be figuring out where you can deploy them. Most of the lights in my home are either fully covered or are used as task lighting, where I need more brightness. I’d love to outfit my entire home in these types of lights, but there are only a handful of places where they make sense here; namely in outdoor sconces, chandeliers, and pendant fixtures. Naturally, you’ll also pay more for these bulbs, which run roughly $8 to $12 per bulb, depending on power and model and how many bulbs you buy in a pack. Even though generic LED bulbs now run only $4 or $5 each, the cosmetic improvement alone makes these a no-brainer upgrade for any implementation where the bulb itself is exposed.